This is one of those projects I knew exactly what I wanted to do right from the start. 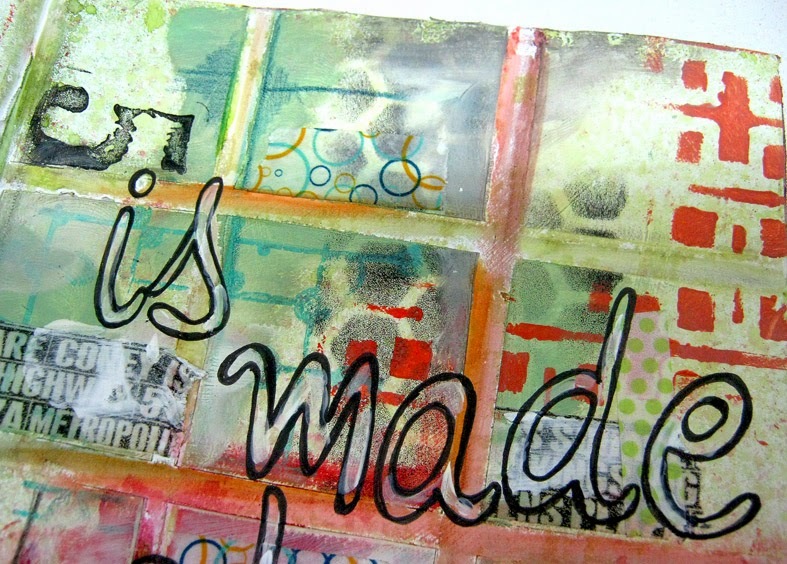 I created a grid with masking tape and starting layering different mediums and colors on my page. I started with covering large areas of the page and worked my way to smaller and smaller patterns. 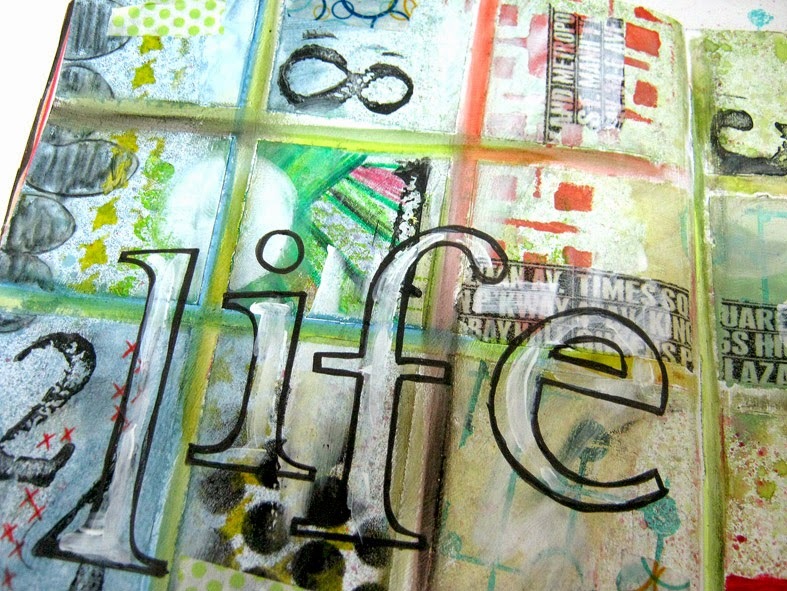 Color spraying, acrylic paint, stenciling, stamping, doodling and lettering. 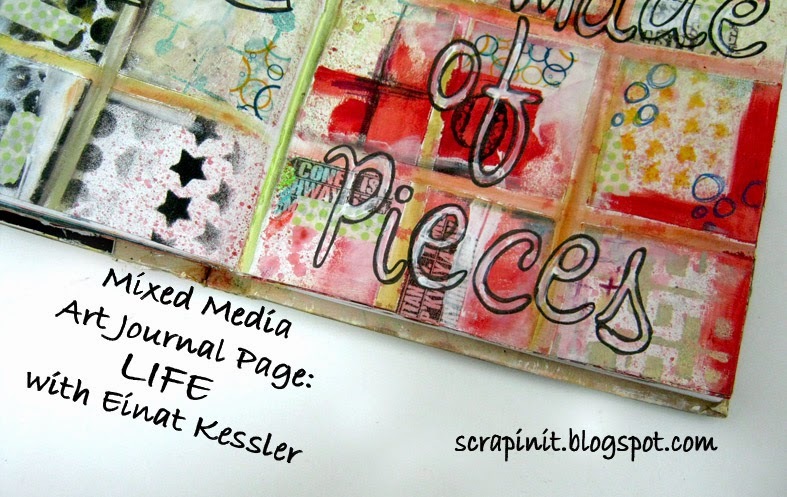 This art journal page has it all! I used bright vibrant colors, because that's what life's all about right? 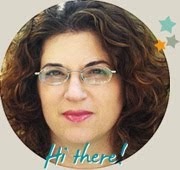 Each layer slightly overlapping the other, revealing and hiding at the same time. 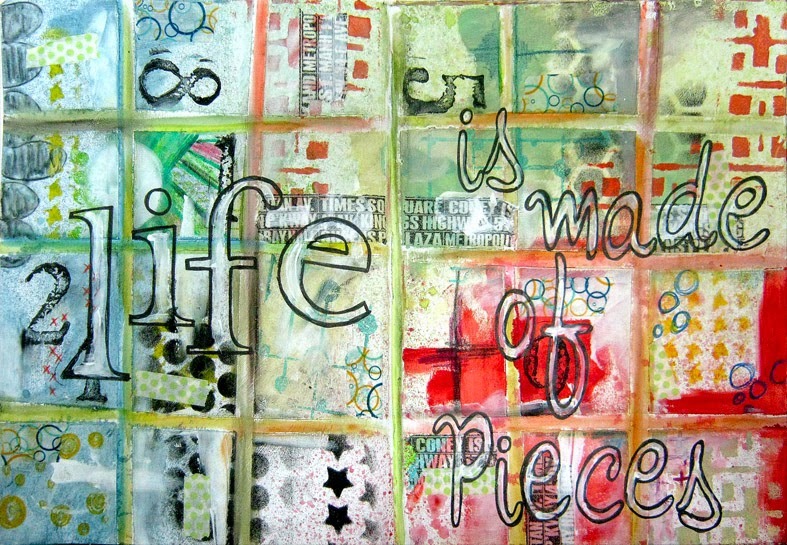 That's what art journaling is...expressing who we are, what we think and see and how we feel. 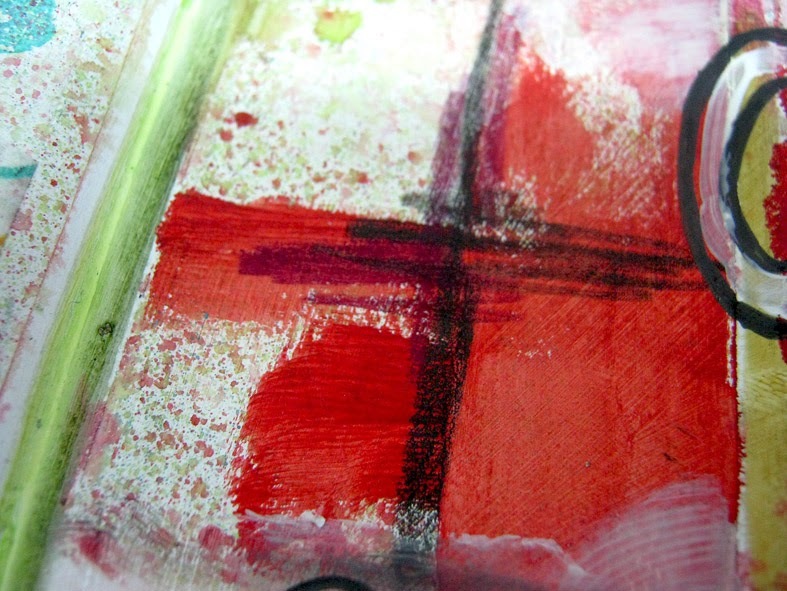 I worked on the page with out worrying about the lines of the grid and when it was ready I removed the masking tape. The grid was perfect! The lines were a little too white for me so I added a little color. 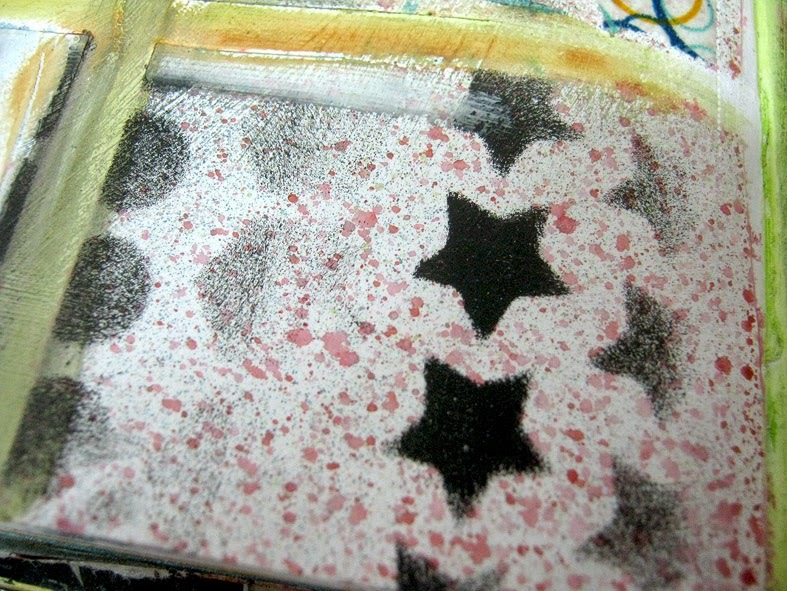 Finally I added the sentence with a black pen and some gesso to make it more visible. 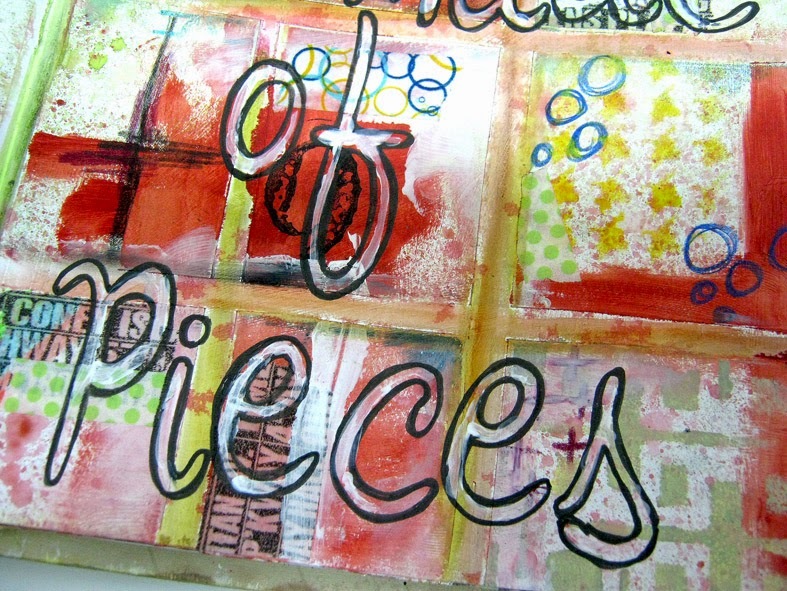 Check out the step by step video tutorial for all the tips and tricks of this art journal page. 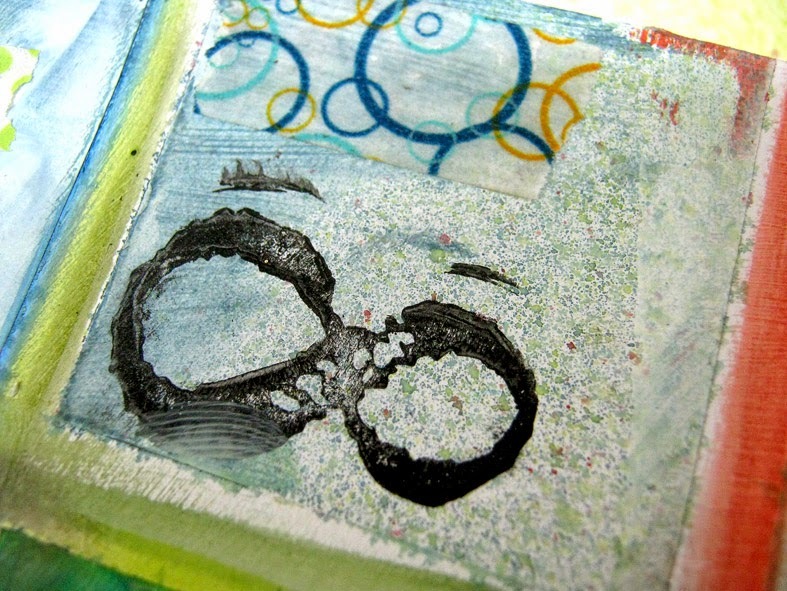 What experiences and feelings do you art journal about?